Step 1: Click on the "Book Shipment". Step 2: Select multiple orders and group them under same package. 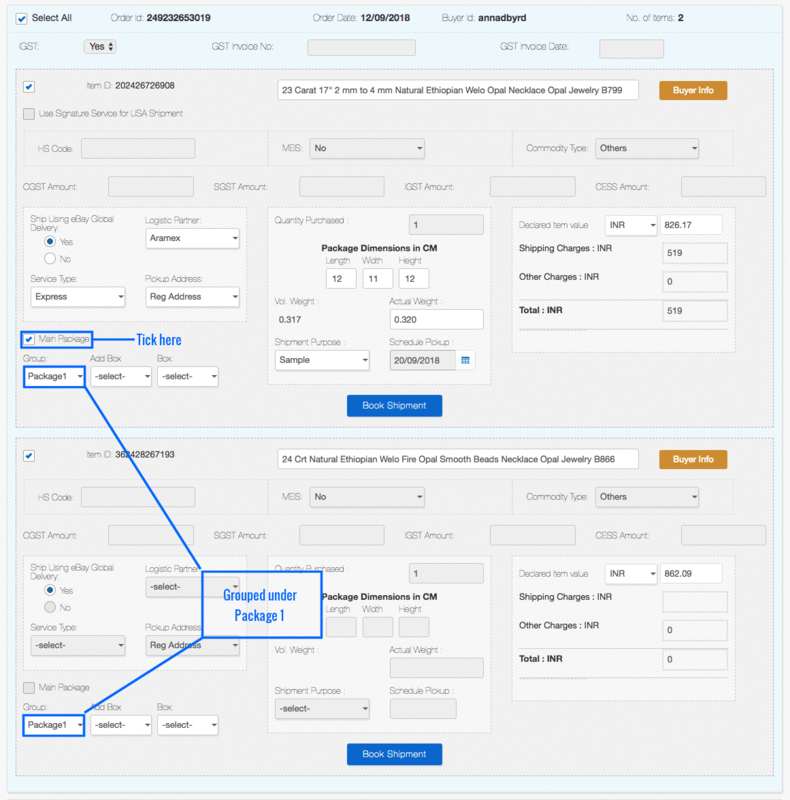 Step 3: Select one of the order as Main Package and group all rest orders under one package as shown below. Orders other than main package will have fields disabled,so you only need to enter weight which is summation of the weights of all the items in the main package. Step 4: Click on book shipment button.